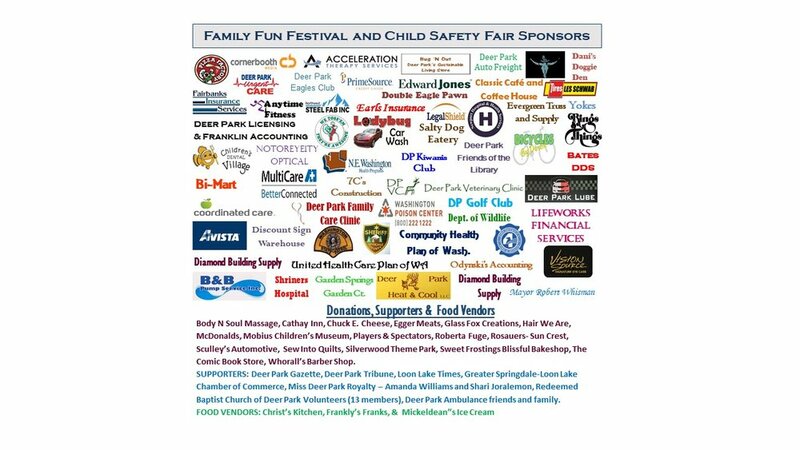 Deer Park Volunteer Ambulance would like to thank all who contributed to the success of the Family Fun Festival and Child Safety Fair. We appreciated the support of our regional hospitals, clinics, health organizations and service providers that helped provide families the opportunity to learn about child safety, health and wellness. 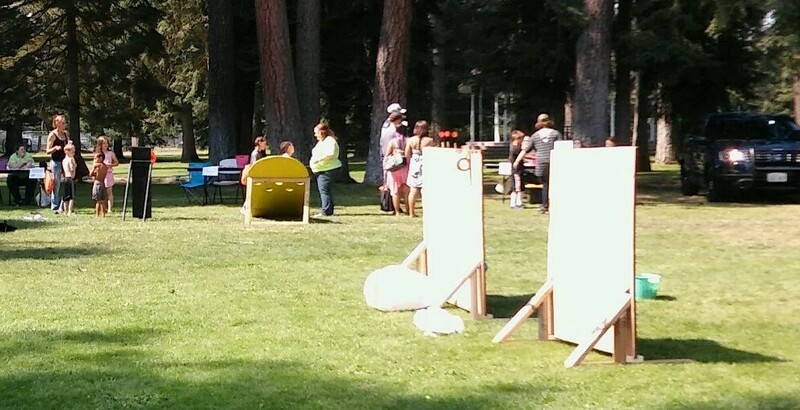 Carnival type games, blow-up activities, and demonstrations were enjoyed by children and their families. We appreciated the food vendors and craft vendors who participated. DPVA would like to expressly thank the sponsors and the businesses that donated toward the fundraising event. The festival was a resounding success, considering it was an inaugural event. 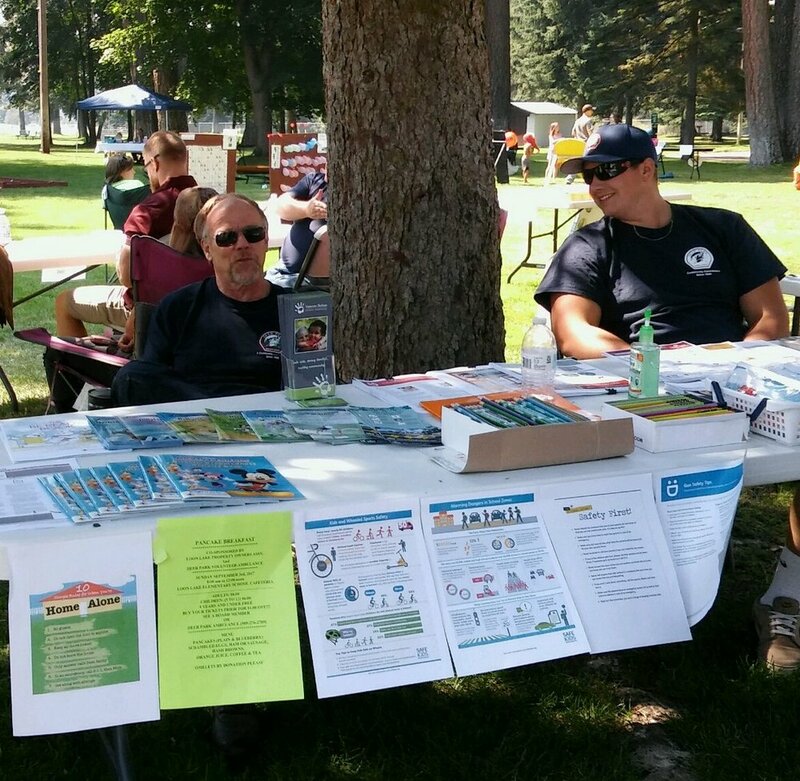 Next year it is planned that the Safety Fair and Festival will join the Settler's Days celebration at Mix Park in July. 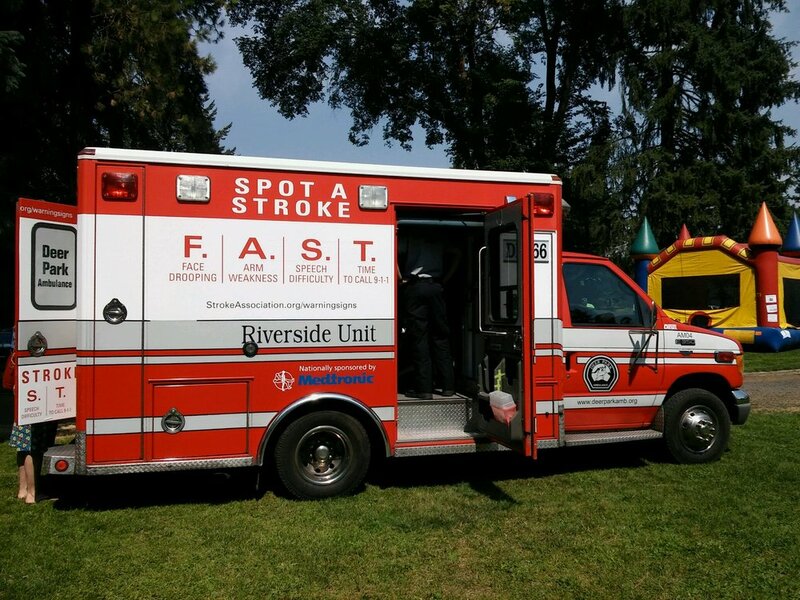 THANK YOU TO ALL WHO SUPPORT DEER PARK VOLUNTEER AMBULANCE! Stroke Awareness vehicle wrap sponsored by Medtronics and the American Heart Assoc. Volunteers from Redeemed Baptist Church of Deer Park with DPVA friends and family volunteers. Couldn't have pulled it off without the help. Deer Park Royalty: Amanda Williams and Shari Joralemon with Adviser. We appreciate your help and spirit of community service! We have a great appreciation for the gracious support of our sponsors and those who donated to our cause. Please see the Vendor link above for a better view of our community supporters!